Let's crochet a pumpkin patch together! Fall is my favorite season and what better way to celebrate than to gather with some of the most talented crocheters I know and "grow" our own pumpkin patch! The Great Owl Crochet-Along was so much fun and I saw so many great ideas that I can't wait to see what all of your are going to do with my new pumpkin pattern. You sign up for the crochet-along using my form. I'm asking for some basic information that I'll use to identify participants. As always, you email address will be kept private and I will never spam you. 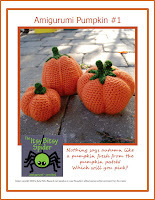 After you sign up, I'll send you a free copy of my pattern for pumpkin #1 (the one on the right in the above picture). You're welcome to get started right away, or wait for the step-by-step lessons. As with the Great Owl Crochet-Along, the lessons will be published on my blog once or twice a week. I'll start publishing the first lessons next week. 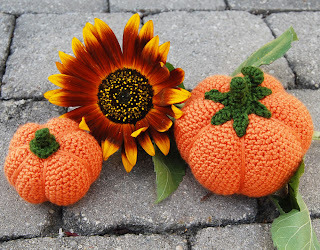 At the end of the crochet-along (10/25), we're going to have a little pumpkin contest. 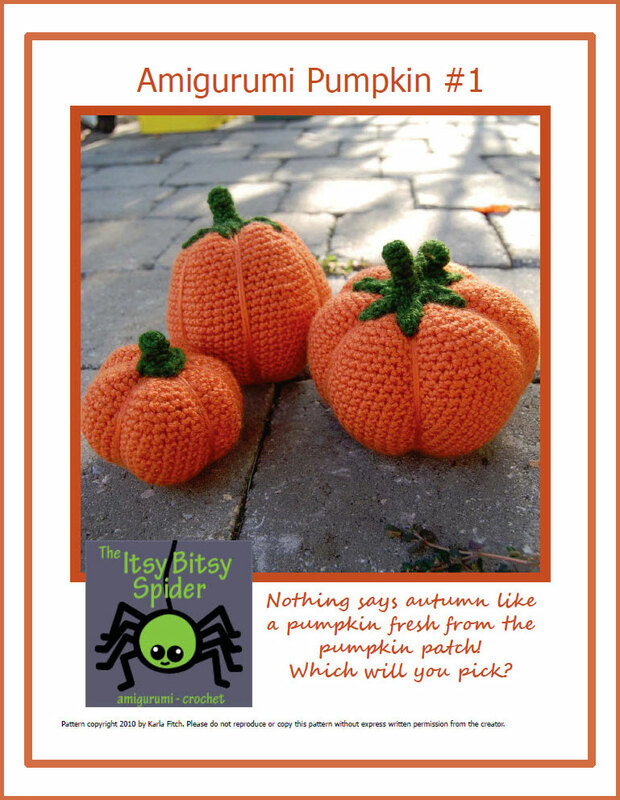 Blog readers and participants alike will have the opportunity to nominate their favorite pumpkins for a little pumpkin patch "fashion show," and the winner will take home a nifty prize. In order to participate in the contest, you must have your pumpkin pictures loaded to the Flikr Group no later than midnight EST on 10/24. Great question, Emily! I can't believe I left it out of the post! The vast majority of the pattern is done in single crochet and the shaping is rather minimal -- but some folks do have trouble with decreases, so I would probably rate it at an advanced beginner level. This looks fun! I will be signing up! It will get me crocheting agin! I started amigurumi a while ago, but had to leave it to get more of my felted items ready for my market stall! Can't wait to get started! Do you need to just make a plain pumpkin, or can you customise it? Ooooh! Another great question! absolutely YES!!! Customize away! That, in fact, is the point of having the contest at the end. We'll vote for the best customizations! Thanks for the answer! Just one more question. If i sign up and find it too difficult, because i've never tried single crochet decrease or half double crochet, can i stop and try the next crochet along? Emily, there are some really great video tutorials on you-tube which show you how to do single crochet decrease and half double crochet. That's how I taught myself! I might try and put a tutorial on my blog for you! But defo check out youtube! And you answer your question, Emily... there is no obligation to finish -- but we definitely want you to try! You'll find out that the online crochet community is a wonderful group and is very supportive. If you have questions, let us know and someone is sure to be able to help you! Okay i'm hooked! I'll join and give it a shot! I am so excited about this right now! I already have 3 different ideas floating in my head, just need to get some yarn tomorrow so I can start! You know I LOVE those so much!! You are so talented! Oh, I'm in. I thought I had the yarn, but I guess I need to run go get me a skein..... what a hardship! LOL Can't wait to get going on this. Maggie -- make sure you fill out the form mentioned in the blog post so I have your email on record. 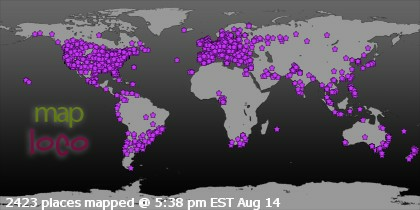 It makes things a lot easier for me to keep track of while the CAL is running. Thank you! Hi Patricia -- the "official" sign-up period has passed, but you can still get a copy of the pattern and join us for the crochet-along. i too would love to take part in this. i am trying to learn ami and this would be a great way to do it. Can i just follow along?